The franchisor achieves this homogeneity by (1) amending or supplementing earlier versions of its franchise agreement to reflect its current version of the document, and (2) requiring all franchisees to adhere to a single operations manual. Uniform obligations help instill consistency in the brand and simplify the franchisor’s monitoring and enforcement efforts. While there are significant benefits associated with contractual uniformity in a franchise system, this uniformity can also create unintended problems for those franchisors that inconsistently enforce the franchise agreements. This article provides a high level view of the various jurisdictional approaches and the potential consequences to a franchisor’s selective enforcement of its franchise agreements. Selective enforcement is a popular topic when counseling our franchisor clients. For instance, one client recently questioned whether it could overlook certain training obligations of a well-performing franchisee and continue to enforce those same obligations on other franchisees in its system. A different client asked if it could default a “difficult” franchisee for not complying with certain advertising requirements even though the client had previously ignored similar advertising violations of other franchisees. To properly counsel clients on these and similar questions concerning selective enforcement, the attorney should first understand the applicable business opportunity and/or franchise laws that govern the franchisor/franchisee relationship. States With Anti-Discrimination Statutes: Six states – Arkansas, Hawaii, Illinois, Indiana, Washington and Wisconsin – have enacted business relationship and/or franchise laws that expressly prohibit franchisors from discriminating between franchises and dealers in certain situations. In Hawaii, for example, it is unlawful for a franchisor to “[d]iscriminate between franchisees in the charges offered or made for royalties, goods, services, equipment, rentals, advertising services, or in any other business dealing,” subject to certain specified limitations. (b)	Bad faith by the dealer in carrying out the terms of the dealership. In these six states, the inconstant treatment of franchisees by the franchisor may violate the anti-discrimination statutes. Industry-Specific Anti-Discrimination Statutes: There are also industry‐specific statutes which expand franchisee and dealer protections to select trades. These trades include the sale of motor vehicles and gasoline, among others. Business Opportunity Statutes of General Applicability: Sixteen states, including the six identified above, have enacted franchise or business opportunity laws that require franchisors to have “good cause” before terminating or not renewing a franchise agreement. While these statutes do not specifically address selective enforcement, a franchisor’s inconsistent treatment of franchisees may play a significant role in the determination of good cause necessary to terminate or not renew a franchise agreement. For example, a franchisor should not terminate a franchise for the same contractual violation that the franchisor has regularly overlooked with respect to other franchisees in the past. By overlooking this contractual violation in the past, the franchisor will be hard-pressed to show good cause for the termination – giving rise to a claim for violation of the applicable business opportunity law. California is one of the sixteen states with a “good cause” requirement. The California Franchise Relations Act (or “CFRA”) expressly prohibits franchisors from terminating “a franchise prior to the expiration of its term, except for good cause.” While the term “good cause” is broadly defined in the CFRA as “the failure of the franchisee to comply with any lawful requirement of the franchise agreement…” – a definition that conceivably applies to any material breach of the franchise agreement – a seasoned franchisee attorney may argue that the franchisor has waived the contract provision by not enforcing the same requirements on other franchisees in the system. If the contract provision relied upon by the franchisor is found to have been waived, the franchisor’s “lawful,” good faith basis for the termination vanishes. No Anti-Discrimination Statute: Most states have not enacted statutes prohibiting the selective enforcement of franchise agreements. In many of these jurisdictions, the courts ignore the inconsistent treatment of franchisees as a defense to the termination of franchise agreements because there is no “selective enforcement” rule governing the private parties’ contractual rights. In Original Great Am. Chocolate Chip Cookie Co. v. River Valley Cookies, the Seventh Circuit rejected a franchisee’s attempt to avoid the termination of its franchise by arguing that other franchisees in the system had committed similar violations without the termination of their franchise agreements. In response, the Seventh Circuit heldd that the fact the franchisor may “have treated other franchisees more leniently is no more a defense to a breach of contract than laxity in enforcing the speed limit is a defense to a speeding ticket.” Numerous other courts have reached similar conclusions. Other courts have required franchisors to show a legitimate business reason for its disparate treatment of franchisees even in the absence of anti-discrimination statutes. Notwithstanding the existence of anti-discrimination statutes, franchisors may find themselves embroiled in future litigation having to explain the reason(s) for inconsistently enforcing the franchise agreement. Counsel for sullen current or former franchisees may use instances of selective enforcement to assert claims against the franchisor for discrimination, bad faith, violation of the covenant of good faith and fair dealing, and various statutory violations. Additionally, franchisee counsel will use the inconsistent enforcement of a franchise agreement provision to defense a franchisor’s future claim for breach of contract. In these instances, the franchisee may assert the affirmative defenses of waiver (i.e., by not enforcing the contract provision in the past, the franchisor has waived future enforcement of the provision) and estoppel (i.e., the franchisor’s failure to enforce the contract provision in the past estops it from doing so now). Outside of the claims and defenses referenced above, a franchisor’s selective enforcement of a franchise agreement may also cause other unintended consequences. For example, in Patel v. Baskin-Robbins, USA Co., the defendant franchisee successfully used Baskin-Robbins’ inconsistent enforcement of a provision in the franchise agreement to defeat Baskin-Robbins’ motion for preliminary injunction. In in the case, Baskin-Robbins sought to enjoin the defendant from operating a competing ice cream shop in violation of a noncompetition provision in the parties’ franchise agreement. Opposing Baskin-Robbins’ motion, the defendant argued that Baskin-Robbins could not show any irreparable harm in the absence of the injunction as Baskin-Robbins had previously ignored the noncompete provision and allowed other franchisees to open and operate competing ice-cream businesses. The court agreed and found that Baskin-Robbins’ inconsistent implementation of the noncompete provision revealed that it would not be irreparably harmed absent the preliminary injunction. The divergent jurisdictional treatment of selective enforcement issues can create a nightmare for franchisors to handle on their own. To help navigate through this nightmare, competent franchise counsel should be engaged to advise the franchisor on the ongoing operations of a franchise system. Seasoned franchise counsel will understand the client’s goals and help achieve the desired results. Guidance on contract principals, applicable state statutory law, and common law will help the franchisor both, avoid litigation, and, when unavailable, litigate to win. 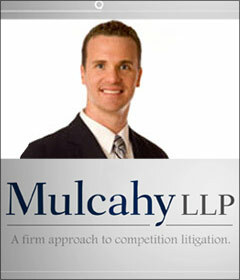 Mulcahy LLP attorneys are certified experts in California franchise law. They can be reached at (949) 351-5261.